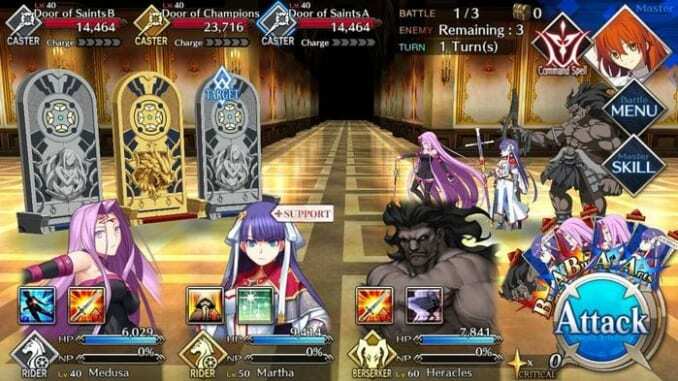 [Fate Grand Order/ FGO] What are Quantum Pieces [QP]? HomeFate Grand Order[Fate Grand Order/ FGO] What are Quantum Pieces [QP]? This article contains information about Quantum Pieces [QP] that appear in Fate Grand Order [FGO]. It will also explain how one can gain QP. If you’re looking for the farming guide for QP, click here. 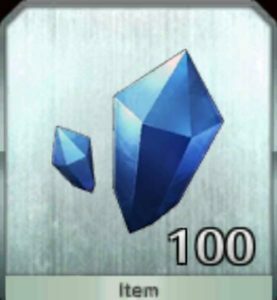 More commonly known as QP, Quantum Pieces serve as the currency in Fate Grand Order [FGO]. As the player goes through a variety of quests and battles, QP always serves as a reward at the end of each battle. Quantum Pieces [QP] often come in big numbers which serve as a means to help the player do a variety of things. When one enters Da Vinci’s shop, she offers a variety of services that the player can use. However, these come with a price which one pays with Quantum Pieces [QP]. Some of these options involve Ascension, Skill Reinforcement, Palingenesis, leveling up one’s Noble Phantasm, and basic Servant and Craft Essence enhancement. 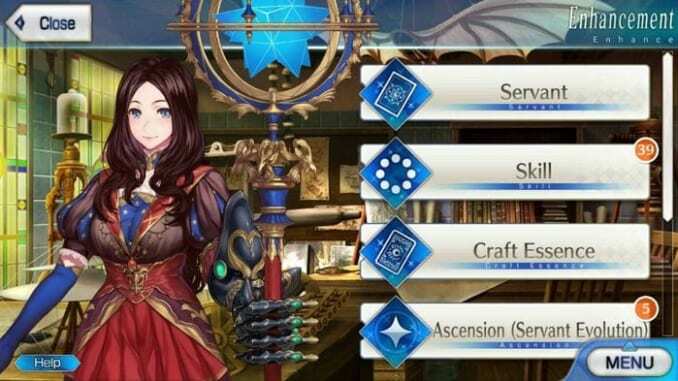 Each Servant and Craft Essence enhancement amount varies depending on the rarity of the Servant and Craft Essence. 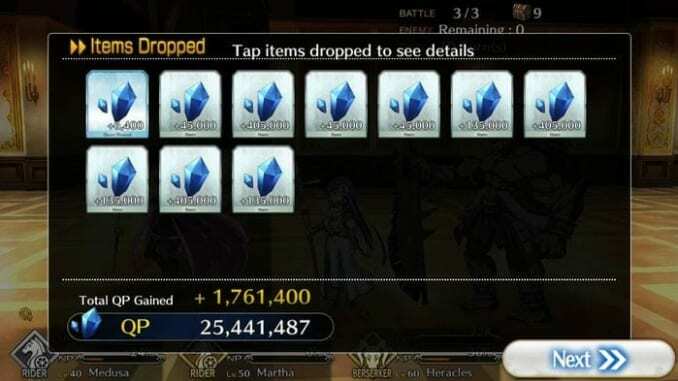 Usually, the higher the rarity – the higher the amount paid to enhance said servant. After completing a quest, QP always drops. While they often come in small amounts, there are other quests such as the Daily Quests that change depending on the day. The enemies often appear in the Treasure Vault quest in which depending on the level of difficulty, increases the amount of QP dropped. With that, one can use these particular quests to farm QP. As for now, QP doesn’t have any additional uses other for enhancement. However, as the developers update the incoming patches, there might be new features. Some new features may include also buying certain items. But for now, these are the only noted uses of Quantum Pieces [QP] in-game. Skill Reinforcement – How does it work?